Innovative equipment has been rolled out as part of Blackburn with Darwen Council’s Safe and Well Programme across all areas of Blackburn with Darwen to give those people with issues like learning disabilities and dementia support to maintain independence in their daily lives. The programme promotes the use of the assistive living technology and devices such as memory books, GPS systems, panic buttons, falls detectors and much more. Carol Beardsworth, 53, a local resident and receptionist at Blackburn with Darwen Carers Service, has already been able to take advantage of the equipment for her father Joseph, 82, who suffers from dementia and her brother Stephen, 57, who has a learning disability. Following a recommendation from her Carers Advisor, Carol went to an event at Your Support Your Choice to find out more about assistive technology and how it can help. She was advised that both her father, for whom she is the main carer, and brother would benefit from a special phone that features large buttons that can be programmed to phone specific numbers, for example Carol’s mobile phone and other family members. There is a panic button on the back and it also has a GPS tracking function which is useful as Joseph sometimes wanders away from home. Carol’s says Stephen wouldn’t leave the house before he got his phone but now he feels confident enough to take their dog for a walk because he knows he can use the phone to call for help if he needs it. 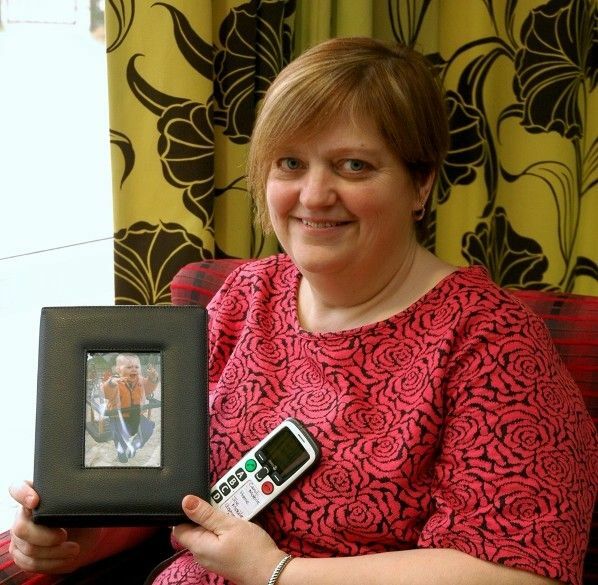 In addition Joseph has also been given a memory book which Carol has filled with family photos and, due to the hi-tech nature of the device, been able to record an audio message to go with each photo – such as a message from the family member pictured, or a message to explain what the photo is of, to help her father remember. More people should know about assistive technology as it’s great. I only went to Your Support Your Choice to find out about equipment for my dad but then I realised the equipment would be great for my brother too. The phones mean I don’t need to worry as much, I’ve got more peace of mind. The GPS tracking facility is brilliant for people with learning disabilities or dementia. I don’t need to rush at the shops to get home and I don’t need to worry at work anymore – the equipment has helped me to get some of my life back. Safe, secure and comfortable care is vital for all people who need support to maintain independence in their homes. These advancements are really helping people and families like Carol’s enjoy a real peace of mind and help them to enjoy their lives more knowing they have this equipment in place. We are committed to exploring innovative ways of working, such as the Safe and Well Programme. This will ensure we give residents choice and control over their care and support them to lead more independent and full lives.